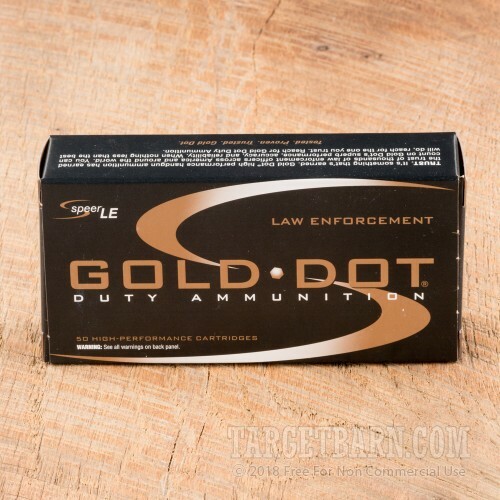 Speer Gold Dot ammunition is widely used by both concealed carriers and law enforcement agencies due to its proven performance in self-defense emergencies. 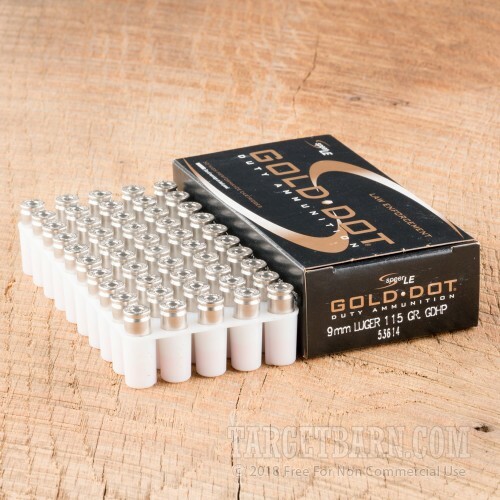 Gold Dot bonded core bullets are constructed to minimize the risk of core-jacket separation and provide a strong balance of reliable expansion and fight-stopping penetration. 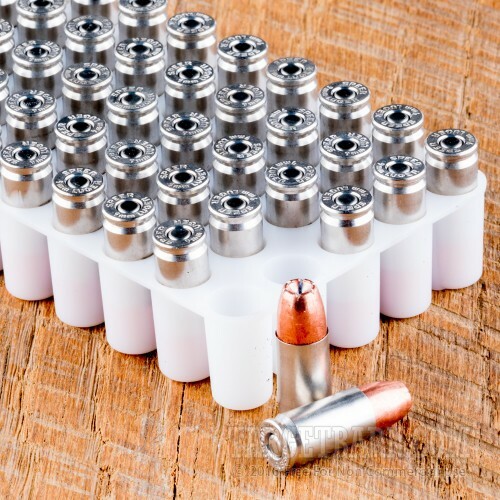 This 9mm Luger ammo is an excellent carry load for popular defensive handguns such as the Glock 43, SIG P938, Springfield XDs, S&W M&P Shield, and Ruger LC9. 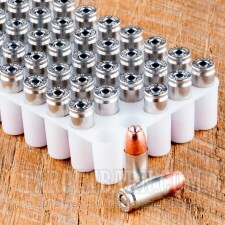 Each round in this box of 50 fires a 115-grain jacketed hollow point bullet at a muzzle velocity of 1,210 feet per second. This is a standard pressure load that works well in subcompact handguns as well as full sized service pistols, delivering relatively low recoil and enabling a higher rate of aimed fire. 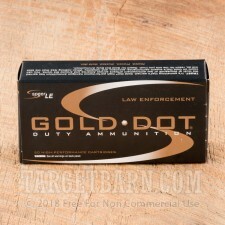 Gold Dots are also well known for having a low flash signature.